Horse Flame Stoves are designed and manufactured by Irelands best-selling Olymberyl Stoves. 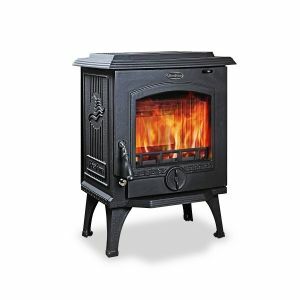 You can be rest assured of a high quality stove when purchasing a Horse Flame Stove. These stoves offer the same strong brand credentials which are outstanding quality, supreme reliability and of course value for money. The Horse Flame Stoves range is less traditional looking that its sister brand, Olymberyl. 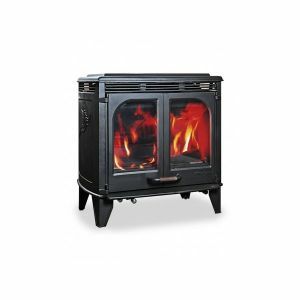 This brand of stoves have been designed to offer the highest quality clean burning as possible. All of the stoves benefit from a large airwashed glass, add this to the fact that Horse Flame Stoves often have window sizes much larger than rival stoves, your can be sure that your getting a perfect view each time. The Horse Flame Stoves clean burn system works by glass ‘wash’ air is drawn in from the top of the stove door which then willl effectively ‘wash’ the inner surfaces of the glass. This ensures that your stove glass does not blacken and allows a comforting view of the fire with the door closed. Many of these stoves also use dual air controls which can help achieve a controlled rate of burning and optimum burning efficiency in addition it also helps control flame patterns. In addition many of the Horse Flame Stoves come with a 5 year guarantee for there castings, therefore you can be rest assured that you are getting a high quality, long lasting stove.